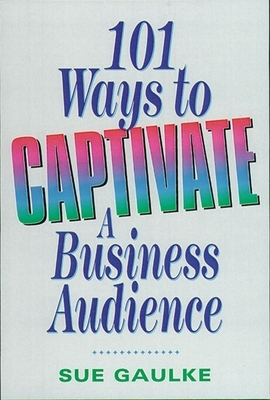 Captivating a business audience doesn't come naturally to most business speakers. But they can learn to do it and have fun -- with minimum stress and plenty of charisma. This handy little book shares the author's highly successful "sizzle-steak" method. It features 101 audience-tested anecdotes, experiences, quotes, and insights designed to help every speaker "turn up the creative heat." Readers will learn how they can: - customize their message to the audience - generate ideas fast - organize material for maximum retention - control nervousness - add sizzle every six minutes - look, feel, and act like a million dollars - energize their voices - create exciting visual aids - "bulletproof" their presentations. SUE GAULKE (Hood River, OR) is president of SuccessWorks, a communications training firm. Her Applause! Speakers Training Camp has attracted people from throughout the country. In addition, her work as a trainer has received many prestigious industry awards.